maximize your VoIP Network to the highest level. Our reliable, carrier-class network delivers consistent, quality Internet connectivity, necessary for accessing information, data sharing, voice over Internet phone systems and completing time-sensitive tasks. You can count on BroadConnect as your best business Internet provider for voice Internet services. We also provide support 24x7 throughout the year. You’ll always be able to contact us, should you need our assistance. BroadConnect is a Business Internet provider with a blazing-fast, nation-wide network that will give your company a competitive edge with premium data and voice communication solutions: download/upload large amounts of data, run web-based applications such as Microsoft Office 365 or Skype for Business, or plan a HD video conference from your single or multi-site locations. 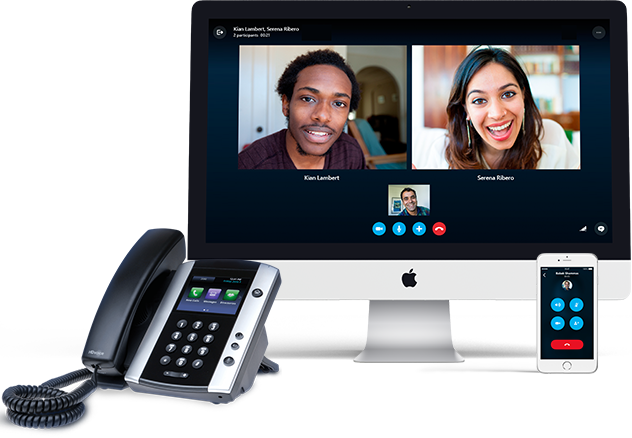 You can rely on our secure high-speed Internet for businesses service, our skilled solutions engineering consultants, and our dedicated technical support specialists to maximize your connectivity — and productivity while maintaining voice quality by selecting BroadConnect Canada from a group of business VoIP providers. ADSL — voice or data compatible with download speeds up to 16MB. BroadConnect ADSL Internet is our value service for the small to mid-sized offices. ADSL has wide availability and is a stable, cost-effective telecommunications solution. VDSL — our service is voice and data compatible with download speeds up to 50Mbps. A fast and powerful Internet solution, VDSL supports high bandwidth applications such as HD video conferencing, VoIP, and unified communications tools, with the flexibility to customize frequency bands for upload or download. Bonded — we offer Bonded ADSL and Bonded VDSL solutions when additional bandwidth requirements are higher than bandwidths available through single circuit solutions. BroadConnect has the expertise to provide bonded solutions based on geographic location or distances from transfer stations. T1 / NxT1 / DS3/Ocx — Our T1 access plans provide exceptional fixed-speed or burstable performance with guaranteed 99.999% uptime, symmetrical download, multi-level redundancy, and mission-critical reliability for the multi-location business. You can have speed and performance up to 45Mbps with BroadConnect T1Internet service. E10/E100 Fibre Internet — Maximum performance and speed from 10Mbps to 10Gbps – for the business with complex, intensive bandwidth requirements get Fibre Optic Internet. Want to Learn More About High Speed Business Internet? Are you a business that needs fast downloads with a private, direct connection but do not require fast uploads as a main part of your business activities? Branch locations that access applications from head office. Organizations without an on-premise server. Remote locations that don’t upload much content. Cost-effective with solid SLA of 99.9% to 99.9% uptime. Asymmetrical speeds up to 50Mbps x 7Mbps. Are you a business that requires significant download and upload speeds for complex, intensive bandwidth mission-critical applications? Multiple users who download streaming media applications, like HD Video Conferencing. Virtual Private Networks are required. Symmetrical download and upload speeds. Engineered to support Quality of Service. Wide area network (WAN) outages are a major concern for many enterprises across Canada as outages may result in loss of productivity and/or revenue. Outages causes include unexpected disasters (hurricanes, floods, earthquakes) or simply failure of old, unreliable copper networks. A WAN backup plan is a crucial and standard protocol for proper IT management. The BroadConnect 4G/LTE service is our recommended wireless business internet backup service, as our 4G/LTE Wireless Backup solution ensures robust and secure protection against WAN outages. Faster than T1 connectivity and with 100% Canada-wide availability, 4G/LTE Wireless Backup offers the true route diversity necessary to keep your business continually connected. Our Customer Support Center is your business’s single point of contact for all inquiries or service issues. In the event of a service issue, your report is immediately assigned to a resolution specialist in our Dedicated Network Operation Centre (NOC). Your dedicated BroadConnect specialist will work with you until resolution while ensuring that you are fully involved and fully informed throughout the process. Customer satisfaction is paramount to all of us at BroadConnect. We’ve got your back when it comes to customer service and support. Our customer support team is available 24 hours a day, and 7 days a week, so no matter what issues may arise; we’ll be there to help you through it. In addition to our toll-free customer service number, we also offer our customers the Connect Account Management Online service. Access your account and make service requests at any time and from any place! 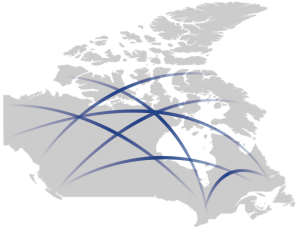 Go here for a list of our major Business Internet services locations in Canada. Find the right internet plan for your business.